Just like Topsy and Tim, Milly-Molly-Mandy has adventures that are extraordinarily ordinary. These ordinary adventures are full of charm and contain an innocence that is quite delightful. The books (we have a series of three but I have just ordered a fourth) are full of short stories which could stand alone as a picture book as per Topsy and Tim (you heard it here first and I take full credit, but sadly none of the royalties, if you see them gracing the shelves in a bookshop near you). The books were originally illustrated by Joyce Lankester Brisley herself and are lovely, full of details that perfectly evoke the period in which the stories were written. A modern equivalent would be Allan and Janet Ahlberg’s “Peepo!” whose portrayal of ’40’s Britain is highly acclaimed. Milly-Molly-Mandy is a little girl with “short hair, and short legs, and short frocks” who lives with her Father and Mother and Grandpa and Grandma and Aunty and Uncle in a “nice white cottage, with a thatched roof”. You can tell just through the use of the word ‘frock’ that these stories come from a time when it was safe, and normal, for a child to disappear off to the woods for the day and only come back, safely, in time for tea. A time when adults were ALWAYS Mr or Mrs. A time not only when a ball of string and a skein of wool cost a penny and sixpence but when a child could run to the shops, alone, and not be in danger of being run over as they crossed a busy road or mugged for the coins jingling in their pockets. T has avidly read all three of my books and she has fallen for girl with short legs and the exceptionally long name, just as I did thirty years ago. 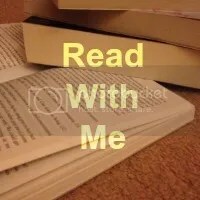 I am linking this post with the Mama Mummy Mum ‘Read with Me’ Linky. I loved Milly Molly Mandy as a child. Unfortunately my eight year old doesn’t share my enthusiasm for the stories. Hopefully she will at some point! Oh no! But I guess life would be boring if we all liked the same things… Maybe. Somewhere along the way these books have passed me by, but they sound like children’s classics. I think that the combination of the simple stories and the lovely drawings do make them ‘classics’ that can be enjoyed again and again. Ah how lovely to see a review of some old children’s books! I remember reading my mum’s old copies of Milly Molly Mandy, they are so lovely. Thank you, my daughter enjoyed them so much I have just found a 2nd hand one which I hadn’t read. Still as delightful today.